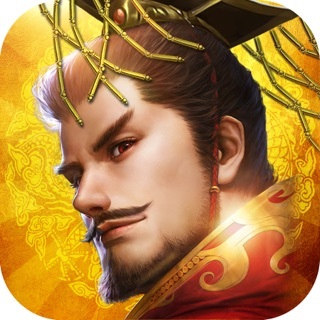 Epic mobile strategy war game! Welcome to the crazy world of Raskulls! A real-time multiplayer game featuring epic heroes, unique abilities and deadly traps. 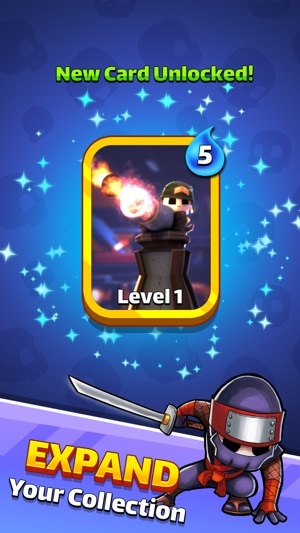 Collect and upgrade dozens of cards featuring loads of troops, spells and defenses. The powerful Viking, sneaky Ninja, fire-breathing Dragon, and more! 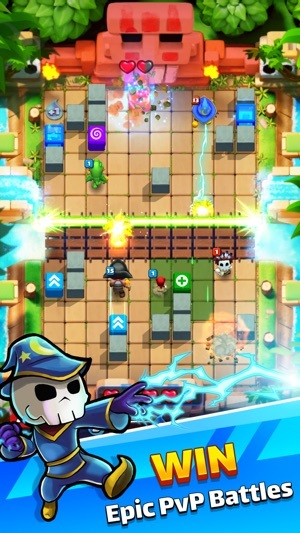 Smart moves and quick thinking are the order of the day as you battle to outwit your opponent in thrilling, fast paced multiplayer battles. Form a Guild, fight for glory in the Arena, and dominate the leader boards. • Epic real-time battles with players around the world! • Form a Guild, and make your own community with real-time chat and friendly battles. • Make friends and challenge them to a private duel. 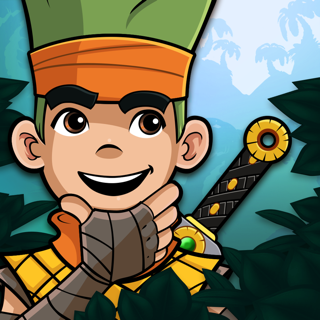 • Use your cunning and strategy to climb the leader board for glory. • Build the ultimate deck and develop strategies to defeat your opponents. 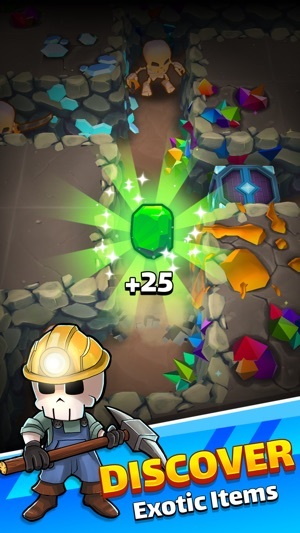 • Explore the Mine and use the Forge to craft powerful Gems used to level up your cards. • Sweet rewards for competing a variety of Quests. 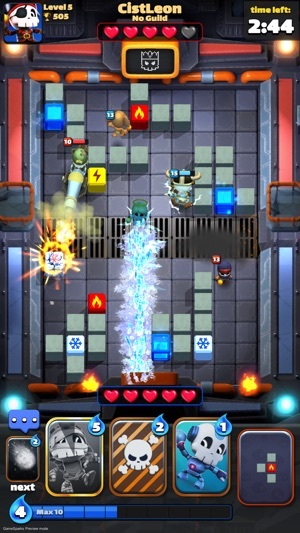 Raskulls: Online is an exciting strategy game with players all over the globe. We are constantly improving gameplay and introducing exciting new updates for you. Join the developers on Discord and share your ideas and suggestions — together we’ll make Raskulls: Online even better! PLEASE NOTE! Raskulls: Online is free to download and play, however, it does contains some real money purchases. If you do not want to use this feature, please disable in-app purchases in your device's settings. An Internet connection is also required. 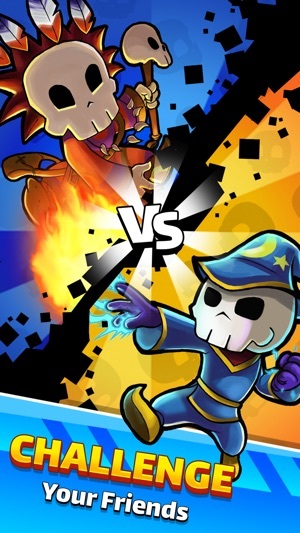 If you're having problems, please visit https://halfbrick.helpshift.com/a/raskulls-online/ or contact us in game by going to Settings > Help and Support. We've given the mine a big visual upgrade, and overhauled the game play. Added some new Cards - Riding Hood and the Spiked Roller. 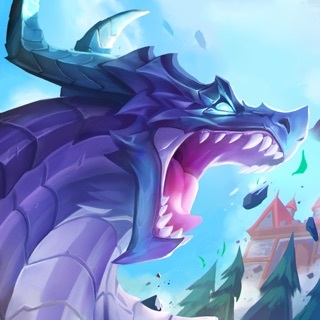 Updated loads of in-game artwork to make it all shiny and new. Various bug fixes and game play tweaks and balance adjustments. I have played this game since the beginning of the beta and I can say that this is a game that I have been finding myself playing everyday. The game is well balanced and is made more fun with the addition of the block mechanic giving a more Tetris-like feeling that gives more creative ways of defending against other players. 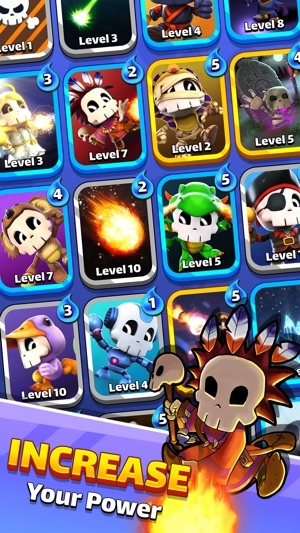 The developers have confirmed there will be new cards and other features coming in the future. The gameplay works very well with little to no errors and the developers are dedicated to improve the game with many more updates promised in the future. Raskulls is the most BEST game out there! I would recommend for everyone to get this game. Reasons? Well, I have a lot of reasons but I am only going to share a few. 1: there are like no major bugs in the game, just a few minor bugs. 2: I love that they have guilds so I can chat and play with people in the guild, not only friends. 3: They are adding more and more Raskull cards and brick cards. This game keeps on getting better and better! There are plenty more reasons but those are the main ones and I hope that because you read this that you will download the game today! © 2018 Halfbrick Studios Pty Ltd. RASKULLS, game characters, Halfbrick and logo are trademarks of Halfbrick Studios Pty Ltd and are protected by copyright. All rights reserved.